Syngenta put females first at Golf Club Managers Association Conference. Syngenta Golf Ambassador Carin Koch was among the expert speakers for a keynote presentation and panel discussion on female participation in golf in the UK, at the organisation's November conference. "It was the first time I have attended the Golf Club Managers Association Conference, and I was impressed with the enthusiasm among managers to encourage more women to take up golf," said Carin Koch. "We had many conversations at the conference, before and after our presentation, and it is clear that there is genuine momentum at club level in the UK to grow the game and the golf business by attracting more women and families to play." Currently, approximately 13% of golfers in the UK are female, compared to 26% in Sweden, according to European Golf Association figures. However, Sweden is also looking to encourage more women to play and Carin Koch described a Swedish Golf Federation initiative tagged 'Vision 50:50' to get more women into club management positions to influence club operations and female and family appeal. The panel discussion was preceded by a presentation of the findings of Syngenta's market research report'The Opportunity to Grow Golf: Female Participation,'offering clubs insights and solutions on how to engage new women golfers. 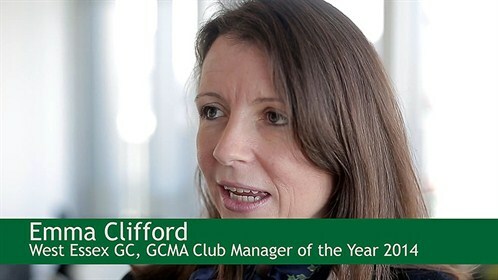 Emma Clifford, the 2014 GCMA Club Manager of the Year, shared her experience of changing golf club culture and taking a more customer-focused approach to club management. Women and Golfeditor Alison Root spoke of the UK golf course industry's urgent need to change, while Fellow PGA Professional Alastair Spink talked about his successful female group coaching programs at Fynn Valley Golf Club, Suffolk. Syngenta's Rod Burke said: "Our market research into female participation has demonstrated there is a genuine interest in golf among women in the UK, as well as the key European golf markets. "It represents a significant business opportunity and it was pleasing to see so many club managers in the UK recognizing this fact and looking to implement change based on customer wants and needs." Click here to download a free copy ofThe Opportunity to Grow Golf: Female Participation.